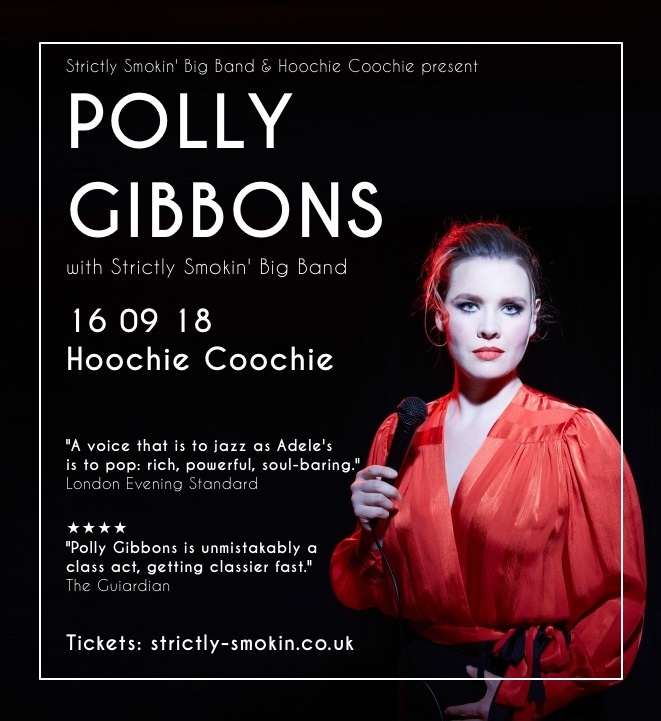 Strictly Smokin’ have done it again – Anthony Strong, Hailey Tuck, Joe Stilgoe and, in September, the wonderful POLLY GIBBONS will feature with the band at Newcastle’s Hoochie Coochie. 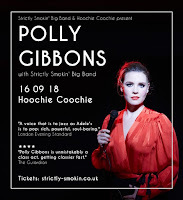 Hot off the back of Jazz FM’s ‘Vocalist of the Year’ nomination, gigs at Montreal Jazz Festival, London’s 606 Club, and a string of dates at New York’s renowned Birdland this month, Polly makes her way north with her own blend of jazz, blues, and soul to feature with SSBB at Hoochie Coochie. This is certainly another SSBB special guest that is not to be missed. 2017 BSH review of Is It Me?